Here we are about a month after Christmas, and the first credit card bills from the holiday season are starting to arrive. Many consumers are experiencing a little sticker shock at the extent of their overspending. According to Consumer Reports, shopping with credit cards during the holidays often leads to overspending by an average of 16%. This is part of the reason that the same Consumer Reports survey revealed that 13.6 million Americans were still paying off holiday purchases from 2009 in November of 2010. The cost of credit card debt is often a hidden expense, particularly for people who are juggling multiple credit cards. It is easy to overlook the total interest expenses when they are spread across three, five, or even seven credit cards. But credit card interest expenses add up quickly. Having an average monthly balance of $3,000 may not seem like much, but at a 15% interest rate, it can cost you $450 a year. Now is the time to assess the situation and make a plan to pay off the debt. If you know you can’t realistically do it in two or three months, seek out a credit card that offers a 0% balance transfer. With a balance transfer, you pay a small transaction fee, typically 3%, to move your high-interest debt to a card that charges no interest for anywhere from 12 to 24 months. During this time of no-interest repayments, all payments you send to the credit card will reduce your debt directly. This will help you pay off the holiday debt faster than sending a minimum payment each month and paying interest all year long. Balance transfers are a good option for consumers with good credit, but these offers should be used with caution. Refrain from running up new debt when you transfer the balance to a new card — and focus on paying down what you already owe. If you have more than $10,000 in credit card debt and are beginning to feel like you’ll never pay it off, using a non-profit credit-counseling service may be your best option. Credit counselors work with your credit card companies to come up with a repayment plan that fits your budget. Make sure to research credit counseling agencies before you sign up — not all agencies work with all credit card companies. 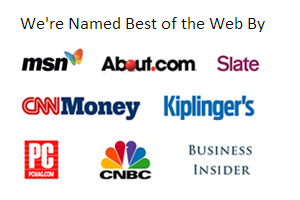 Also, you want to make sure you choose a reputable credit counseling agency. You can use the Better Business Bureau to find out about consumer complaints and a company's reputation. Generally, credit counselors will negotiate lower interest rates on each of your credit card accounts, so more of your payments go towards debt. Legitimate non-profit credit counselors do not offer to settle your credit card debt for pennies on the dollar. Avoid companies that use this language, as these companies often charge high upfront fees and can end up hurting your credit while doing little to improve your credit card debt situation. Visit the National Foundation for Credit Counseling to learn about credit counseling and search for approved companies in your area. As you are concentrating on paying off your post-holiday credit card debt from this holiday season, you can also prepare to avoid credit card debt for the next year! 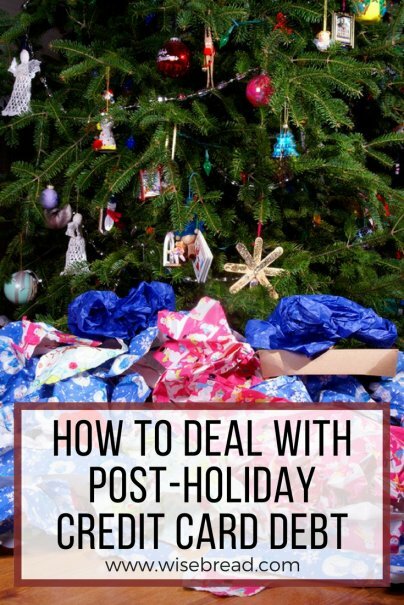 The winter holidays come the same time every year, and the best way to manage them is to prepare for them well in advance. Take a look at your total holiday spending for the most recent holiday season. Divide the total amount by 12 months, and you'll see how much money you should set aside each month for next year's holiday spending. Consider opening a Christmas Club account at your local bank or credit union or an online savings account dedicated to holiday savings. Ignoring credit card debt or only paying a fraction of your debt every month can cost you a lot of money in the long run. Consider a balance transfer credit card or working with a reputable credit counseling agency to get out of credit card debt and avoid paying high interest and fees. I'm glad that you mentioned this point "24 Months or More: Credit Counseling" because many people that I meet are inclined to declare bankruptcy as soon as they see their debt go over $10,000 and have no way of paying it back. Everyone's first option in this situation is to try and consolidate their debt and let the debt consolidator company deal with your creditors to lower your debt and your interest rate. I find it rather sad that so many individuals go into credit card debt around the holidays. We love love love people so much, but do we really need to max out our credit cards to show that love? Shred the cards, give people a card with a small gift certificate. Do you really need to finance the gift? This is just my .02.